PayPal’s reach in Kenya has now been extended to M-Pesa wallets, allowing users of the service to get payments directly to their mobile phones, thanks to a partnership between Safaricom, PayPal and TransferTo. Under the new service, qualified M-Pesa customers can link their PayPal accounts to M-Pesa wallets, using an “M-PESA PayPal portal” that will enable them to buy goods and services using M-Pesa to top up their PayPal accounts and this is expected to benefit international ecommerce and remittances. They can also withdraw cash at 148,000 M-Pesa agents around Kenya. M-Pesa has 27.8 million active customers while Nasdaq-listed PayPal has 227 million and is available in 200 markets, allowing merchants to receive funds in more than 100 currencies and withdraw funds in 56 currencies. TransferTo is a Singapore-based cross-border mobile payments enabler. PayPal has officially been in Kenya for almost five years exclusively with Equity Bank, dating back to 2013 when Equity and FNB were the only authorized Paypal partners in Africa. Equity is still the only bank in Kenya that PayPal users can withdraw with and during 2017, Equity reduced the PayPal withdrawal time from 8 days to 3 days. Last week Equity reviewed the cost of getting paid using PayPal to as little as 1% for withdrawal amounts that are over $5,000 (~Kshs 500,000), versus 1.5% for payments below $500 (~Kshs 50,000). At the Equity Bank 2017 results announcement last month, CEO James Mwangi confirmed that usage of PayPal by Equity Bank customers had overtaken traditional remittance channels of Western Union and MoneyGram. PayPal was used for payments worth Kshs 6.2 billion in 2017 by Equity customers, up from Kshs 3.6 billion the year before, and accounted for 21% of the Kshs 30.2 billion worth of payments with another new service provider, Wave accounting for 52% of the value of transfers. This entry was posted in Equity Bank, M-Pesa, Remittance, Safaricom, SME solutions, Wave on April 9, 2018 by bankelele. Companies: Last November, KPMG and H2 Ventures released a report listing their fourth annual fintech innovators (‘Fintech100’) comprising 50 established companies and 50 emerging companies to watch in Fintech. The companies are innovation across sector like banking, payments, remittances, spending, artificial intelligence, data management, and insurance. They noted that China continues to dominate the fintech landscape, with 5 of the top 10 companies on the list. Digital or new banks in the list include Solaris Bank, Nu Bank, and Atom Bank. 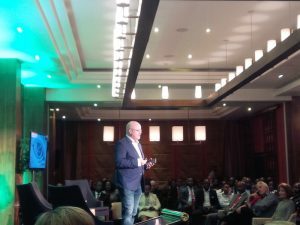 Influencers: Also, Jay Palter has a list of 195 fintech influencers for the year 2018; have only heard of a few – Brett King (who visited and spoke in Nairobi in January 2017), Yann Ranchere, Elon Musk and Vinod Khosla, but will check out the rest. This entry was posted in bank service, China, entrepreneurship, KPMG, medical insurance, Remittance, SME solutions and tagged fintech on February 20, 2018 by bankelele. 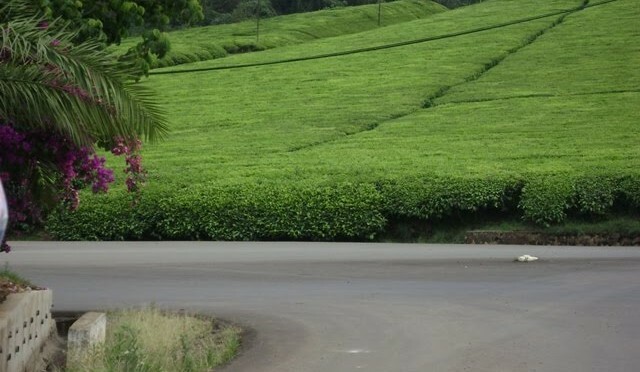 The Competition Authority of Kenya has rejected an application for exemption by the East African Tea Trade Association (EATTA) to set brokerage commission and warehouse prices. EATTA, which operates the weekly Mombasa Tea Auction, had sought to be exempted from the provisions of section 21 and 22 of the Competition Act No. 12 of 2010 (the Act) on some of its activities for an indefinite period. Warehousing is an important element in the tea value chain and that fixing of warehouse fees would undermine innovation and improvement of value preposition to customers given that warehousemen will be assured of the minimum fees set by EATTA. This the Authority concluded that it will encourage inefficiencies in warehousing thus impacting on the trade negatively. However, the Authority allowed, for a period of three (3) years), the trading to be permitted amongst membership. This entry was posted in Agriculture, Farmers, Kenya economic growth, Kenya tea, Remittance, warehousing and tagged Tea on September 15, 2017 by bankelele. This week, mVisa was launched in Nairobi. It had earlier debuted as a pilot with Family Bank nine months ago butis now live at eight other banks including Barclays, Cooperative, Ecobank, KCB, National Bank, NIC, Prime and Standard Chartered. The roll out comes with free person-to-person (P2P) money transfers for mVisa customers at these banks to others registered mVisa members at any of the banks. For example, customers of Cooperative Bank can get mVisa by updating their MCo-op cash phone apps or those without MCo-op cash can get it by dialing USSD *667# on their phones and this will bring up mVisa which they can send to any other mVisa users and pay for goods and services at no extra cost. mVisa depiction from Visa site. For merchants, payment is by a QR code within a phone or via a card displayed at a shop or other places of business. QR codes enable transfers without the need for a smart phone and for merchants, they can accept payments without having to invest in expensive point of sale devices such as card readers. There was a neat video shown about how a boda boda (motorcycle taxi) operator could have a QR code on the back of their safety jacket – and which a passenger could scan to complete a payment. mVisa aims to drive financial inclusion and a comment was made that one cost to using cash (which is not transparent) is that small businesses (SME’s) may have good sales and receipts, but can’t get credit from banks; therefore easing the processing of verifiable payments to a business will enhance its viability. mVisa is now live in Kenya , India, Rwanda and Egypt with plans to launch in Nigeria, Uganda, Tanzania, Ghana, Indonesia, Kazakhstan, Pakistan and Vietnam underway. This entry was posted in credit cards, Remittance, SME solutions, Visa on July 14, 2017 by bankelele. Recent events in the fintech (financial technology) payment space in East Africa. Cooperative Bank: Is a demonstration that the how banks ar moving in the technology space. Kenya’s 3rd bank has adapted to their customers embrace and they enable more customers to use alternative channels for transactions. They had a valentines’ week promotion to highlight and encourage customers to use alternative channels such as MCo-op Cash (get a loan straight from ones’ phone at 1.16% per month and send money to other MCo-op users for free) or at a Co-op Kwa Jirani agent (deposit cash into someone’s Co-op Account for FREE at a Co-op Kwa Jirani agent) or Co-Op cards. Another is EcoBank which launched a new mobile app which integrates Masterpass QR, a mobile payment solution from MasterCard. It enables customers to send and receive money instantly across 32 other African countries. National Bank has launched cashlite payment solutions suite for county governments, Ministries, Government Agencies, and Departments. The bank has provided a variety of options for payments including mobile money, smart cards, and e-wallet and cash options, aligned with the continuing growth of mobile technology as well as consumers’ expectations for convenient mobile and online payments. Strathmore University has supplied Busia county government with a revenue collection systems called CountyPro® with which the government hopes to grow revenue by 300%. It caters for all the unstructured county revenue sources including parking, market cess and trailer parking. Mastercard is the technology partner for the Huduma Card in Kenya enabling payments for government services. 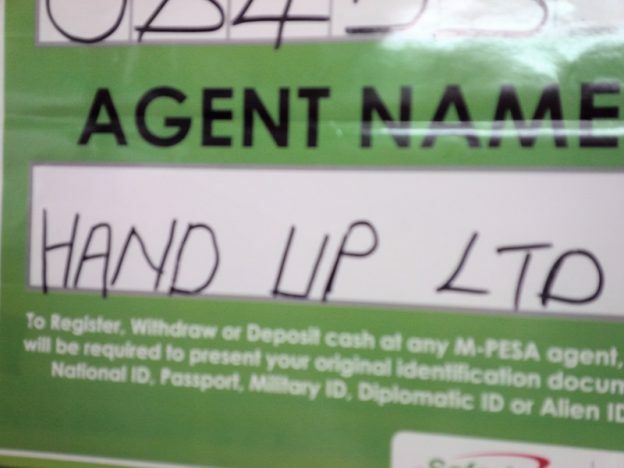 It is being issued by Commercial Bank of Africa, Diamond Trust, Equity, and Kenya Commercial banks. Kenyans will be able to pay for an array of enrolled Government services such as the National Hospital Insurance Fund (NHIF), National Social Security Fund (NSSF) amongst others. mVisa will soon be in 10 countries as Visa expands its QR payment service for safe and easy mobile payments in emerging markets. It is already live in India, Kenya (started with Family Bank) and Rwanda, and will soon be available to merchants and consumers in Egypt, Ghana, Indonesia, Kazakhstan, Nigeria, Pakistan, and Vietnam.. (mVisa) allows consumers to use their mobile phones to make cashless purchases at merchant outlets, pay bills remotely and even send money to friends and family members by securely linking their Visa debit, credit or prepaid account to the mVisa application. Also any bank’s mVisa customer – regardless of where they bank – can transact on any mVisa merchant and merchants do not need to invest in POS infrastructure. Visa has partnered with Co-Operative, Family, KCB, and NIC banks. Mastercard committed to financially include 100,000 Kenyan micro merchants with Masterpass QR, a simple and secure digital payment solution. It will be introduced through various financial institutions. With it, consumers will be able to pay for in-store purchases by scanning the QR (Quick Response) code displayed at the checkout on their smartphones, or by entering a merchant identifier into their feature phones. Masterpass QR is currently being rolled out in Nigeria, Ghana, Rwanda, Uganda, and Tanzania. Safaricom has issued 16,000 Lipa na M-Pesa cards in the pilot phase of a project that will launch later in the year. The Lipa na M-Pesa card uses pin and chip technology…It is also equipped with Near Field Communication (NFC) (which will) increases the speed at which customers make payments. Verve: A dozen Kenya banks have partnered with Verve International, Africa’s leading low-cost payment network provider, in their push towards interconnectivity, cardless transact ability, and digital payments. Verve, best known as a card issuer has more than 32 million Verve cards and virtual/digital tokens issued across Africa and Verve is used in 19 African countries. Pesapal adds American Express ​Pesapal integrated American Express into its payment platform on February 27, and AmEx card holders can now use their cards to​ ​transact on any online payment portal that uses Pesapal. This is especially useful for hotels and other companies in the East African tourism space. Pesapal which is in Kenya, Uganda, Tanzania, Zambia and Malawi and plans to expand to Nigeria in 2018 also offers an online booking engine for Hotels called ReservePort that’s used by Serena and Heritage brands. Facebook: Facebook added international money transfers to its chat app. The service comes via London-based startup TransferWise in the form of a Facebook Messenger chatbot and enables transfers to and from the US, Britain, Canada, Australia, and Europe. Bitpesa: The company introduced an Africa to China corridor enabling users to send payments from Africa, directly to a Chinese bank account using bitcoin. European choice: How much does it cost to send money from Germany to Kenya? @WehliyeMohamed posted that the global average cost for sending $200 in Q3 2016 was 7.42%, and that It cost him 6.7% to send money to Kenya. Then @MkenyaU answered that it costs 1.5% when he sends €200 from Germany and this reduces to 0.6% when he sends €500. He cautioned that some companies charge zero fees but their exchange rates are horrible as he shared a comparison of a dozen services available to send money from Germany to Kenya. Safaricom Mpesa: 10-year-old M-Pesa had 6 billion transactions in 2016 and is now in 10 countries – Albania, the Democratic Republic of Congo, Egypt, Ghana, India, Kenya, Lesotho, Mozambique, Romania, and Tanzania. A new feature in M-Pesa will enable users to see the cost of transactions. 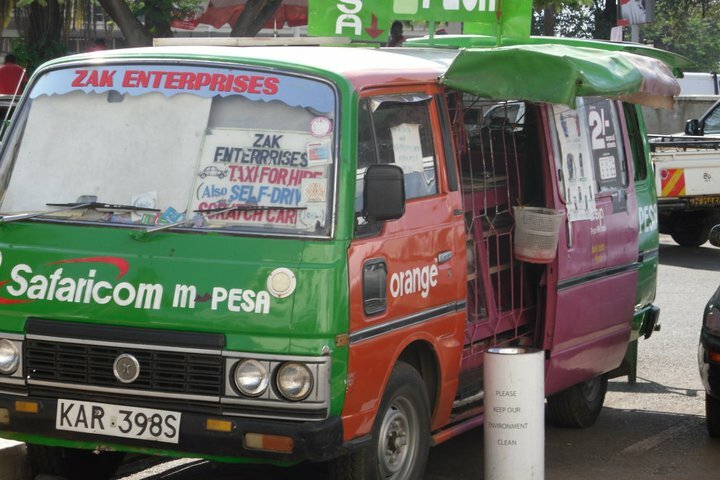 In the initial phase, customers will be notified of the costs after, and in the second phase customers will receive a pop up message informing them of any charges prior to the transactions, while the third phase will see the service being made available to value-added M-PESA financial products including M-Shwari, KCB M-PESA, Okoa Stima and M-Tiba. The second and third phases of the update will be rolled out in coming months. 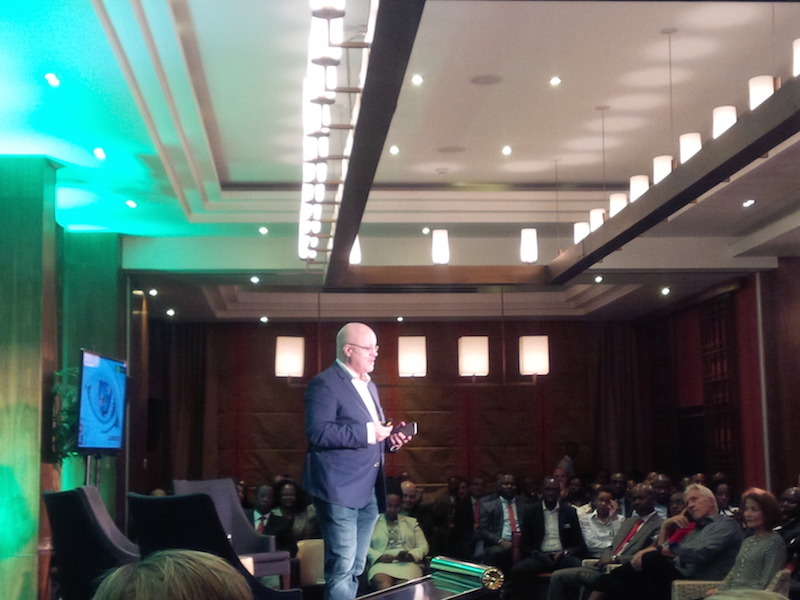 There have been some calls and reports recommending that M-Pesa be split from Safaricom. This could have happened years ago, but it is more difficult now that M-Pesa is an entrenched and central part of Safaricom today. Tala raised over $30 million in Series B financing, led by IVP and joined by Ribbit Capital. Tala uses smartphone data to build financial identity .. mobile app for Android aggregates more than 10,000 different data points on a customer’s device, including financial transactions, savings, network diversity, and geographic patterns, and builds a customized credit score, or financial identity. Tala operates in East Africa and Southeast Asia with its main top markets being Kenya and the Philippines. Tala has delivered more than one million loans totaling over $50 million, and more than one million individuals have accessed the product in East Africa alone. See how Tala compares to other (fintech) / phone-lending apps in Kenya. Forbes termed this the largest Series B raised by a woman founder in recent memory. Zeep is a smart and simple mobile platform that helps young people (teens) nurture good financial habits. They ‘learn by doing’ within the framework of a secure financial environment with guidance from their parents. Irish Tech News released a list of 38 Kenya fintech companies to watch in 2017; these include Abacus, BitPesa, Branch, Cellulant, Chura, FarmDrive, Kopo Kopo, M-Changa, Pesapal, Tala, and Umati. The FT Africa Payments Innovation Summit will take place on 29 March 2017..it will bring together 250 business leaders from various mobile and financial interest groups and explore challenges and opportunities inherent in these developments: from providing greater financial access to un-banked people across the continent to providing new services and opportunities for an emerging middle class. This entry was posted in bank service, Co-op, emerging markets, KBA, M-Pesa, mobile banking, Pesapal, Remittance, Safaricom success, SME solutions, Strathmore and tagged fintech on March 1, 2017 by bankelele.